Philips Sonicare Series 2 Toothbrush Just $29.95! Down From $70! PLUS FREE Shipping! 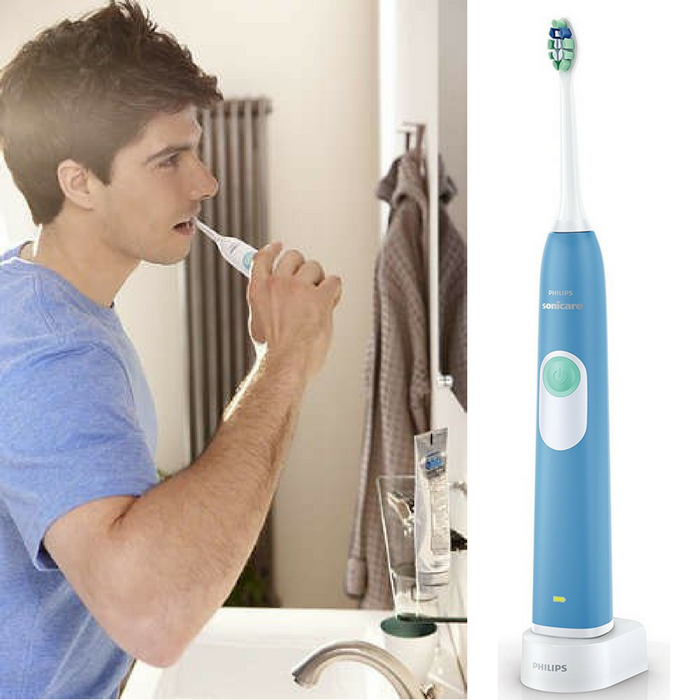 You are here: Home / Great Deals / Amazon Deals / Philips Sonicare Series 2 Toothbrush Just $29.95! Down From $70! PLUS FREE Shipping! Hurry over to Amazon where you can score Philips Sonicare Series 2 Toothbrush for just $29.95 down from $69.99 when you clip the extra $10 off coupon located below the price! PLUS, it’s FREE shipping! Remove more tooth-decaying plaque and avoid cavities with the Philips Sonicare HX6211/46 2 Series plaque control rechargeable toothbrush. The Snap-On plaque control brush head features curved bristles to match the shape of your teeth for a superior clean that removes up to 6x more plaque than a manual toothbrush. The Easy-start feature slowly increases the power of the brush as you get used to the Sonicare experience and the Smart timer encourages a full 2 minutes brushing time. An ergonomic handle with intrinsic grip makes it easy and comfortable to hold the brush, and the two-color battery charge indicator lets you know when it’s time to recharge. Hurry before this great deal ends! Two-color battery charge indicator lets you know when to recharge. 2 weeks battery life.